An administrative assistant is expected to provide administrative, clerical, and organisational support to the company where he or she works. Some administrative assistant positions, however, are stationed in specific company divisions especially if the business has a huge scope of work operations. 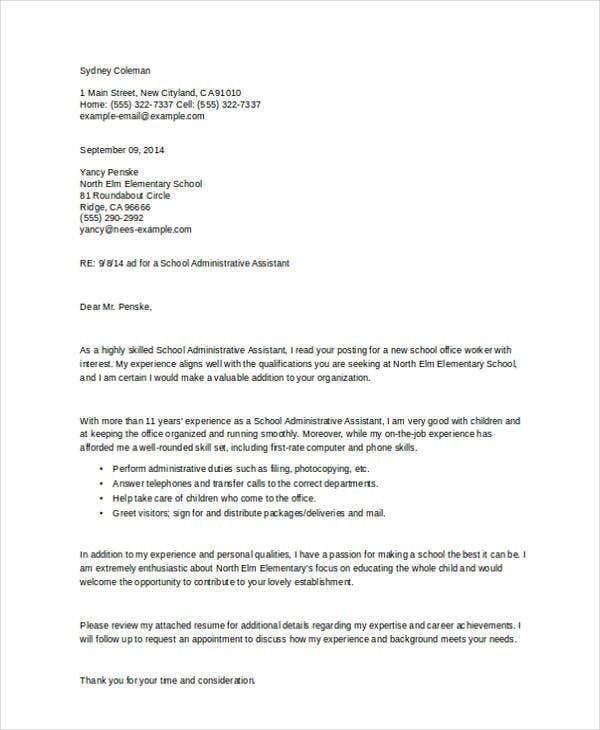 This post is a collection of administrative assistant cover letter templates that you may use as a reference in creating a cover letter template. This will also help you apply for a particular administrative assistant position. 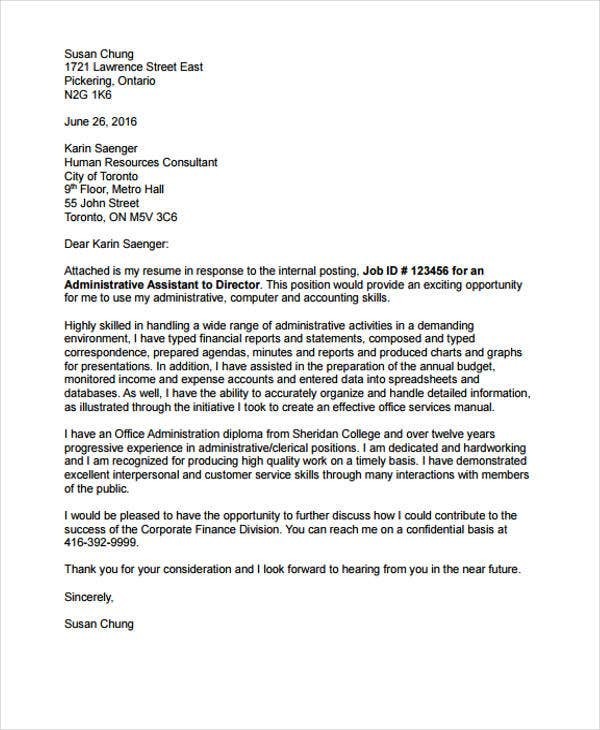 Use our Cover Letter Format samples to gain an understand on how to draft a professional Cover Letter. Administrative assistant positions are generally not open for entry level applicants, some of these professional posts require an experienced professional. 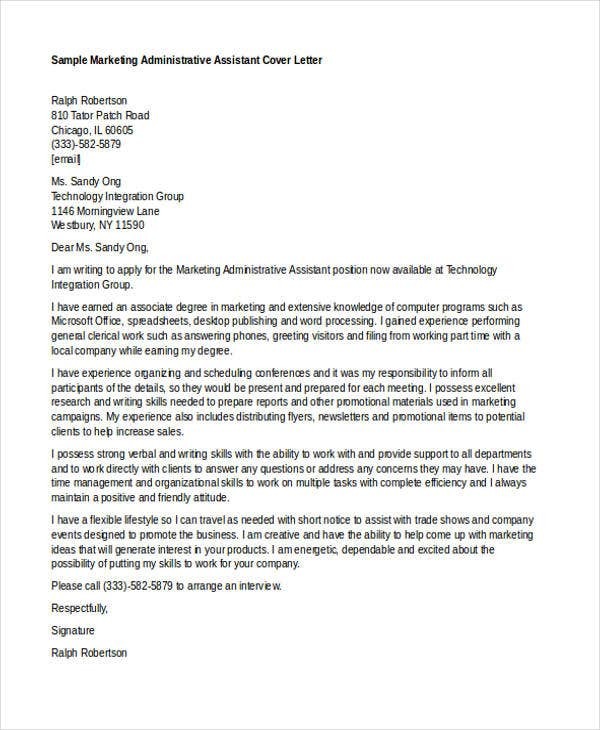 Look at some Cover Letter Examples and identify which of the formats and contents are applicable for the specific position that you are targeting. Capitalise on your experiences as they will be one of your advantages in the processes of the application. 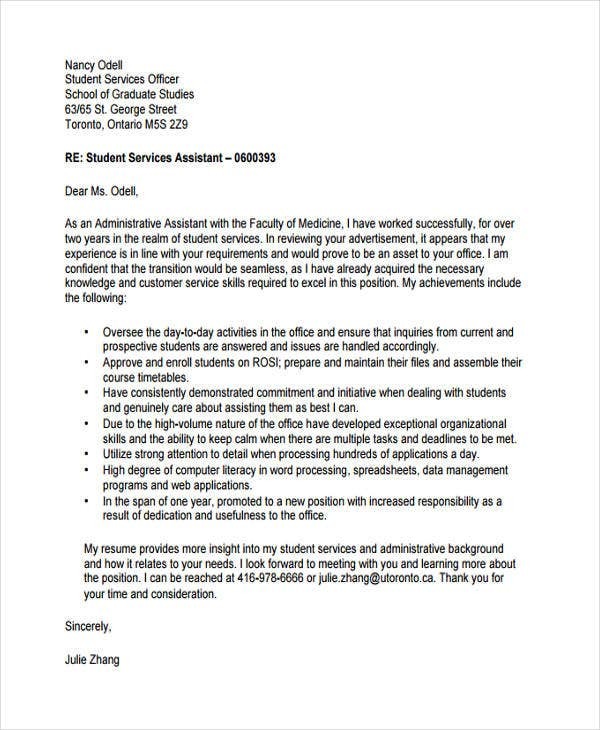 Provide the needed assurance that you will put your knowledge in the systems that are used in the daily work functions of administrative assistants. This includes information management, spreadsheets, graphic presentations and document recording. 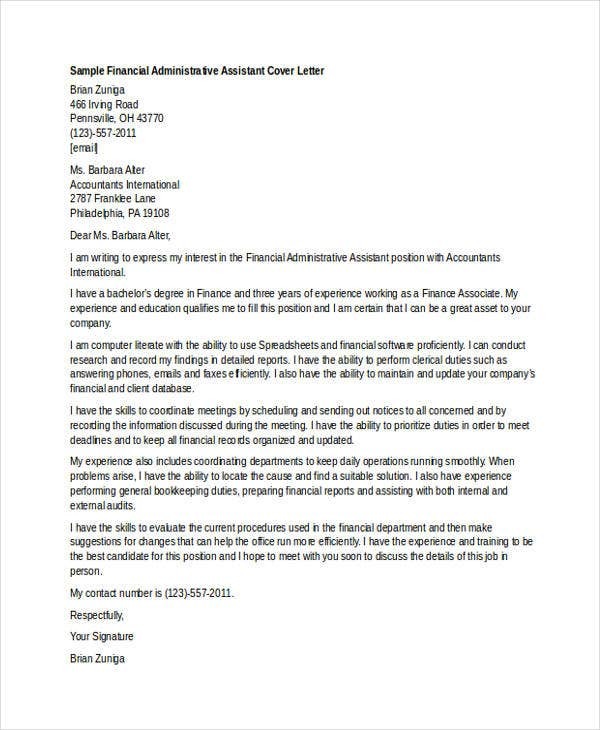 You can also go through some of our formal and Professional Cover Letter Templates for more assistance. Make sure that you will provide information about your highest educational qualification and its relation to the position that you want to work in. Provide details about your skills, abilities, and talents that work well with the job of an administrative assistant. Provide information about your internship, especially if you worked/interned as an administrative assistant. 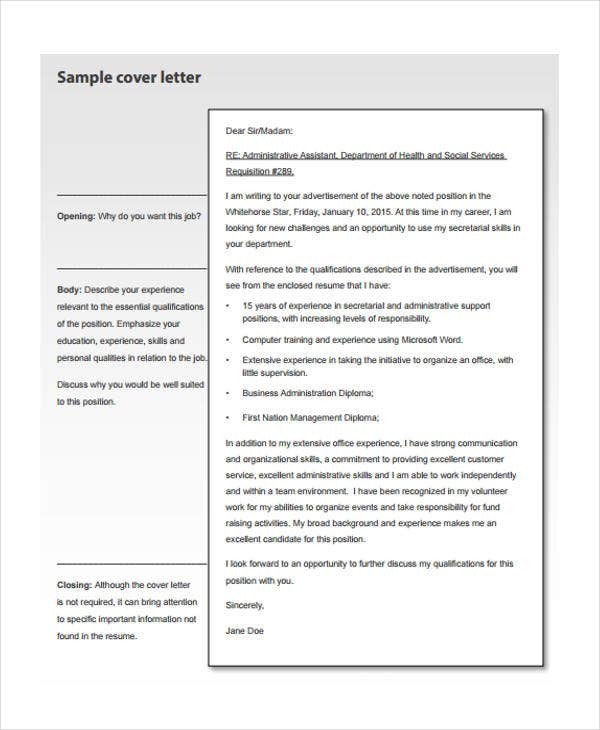 Other than our administrative assistant cover letter samples and templates, you can also check out our Sales Cover Letter Templates that will come in handy for future reference. 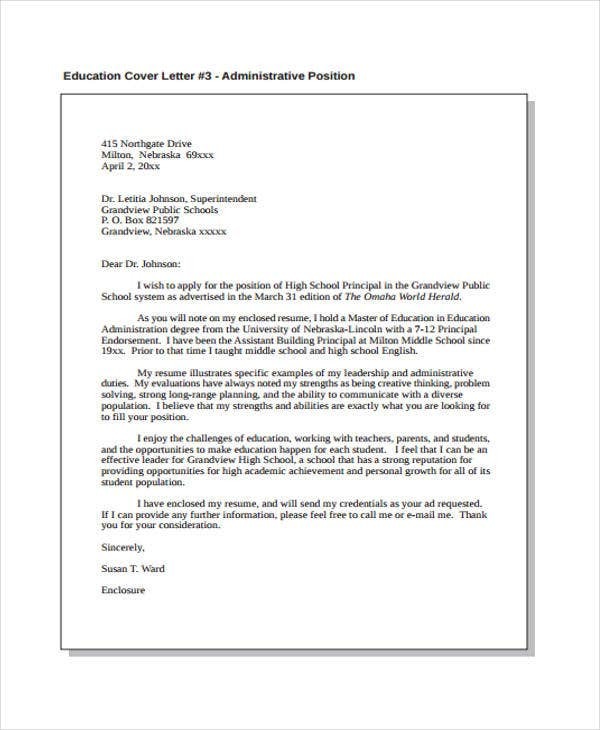 Why Use Our Administrative Assistant Cover Letter Templates? It is always a great help if you already have a guide in creating different professional and business documents. 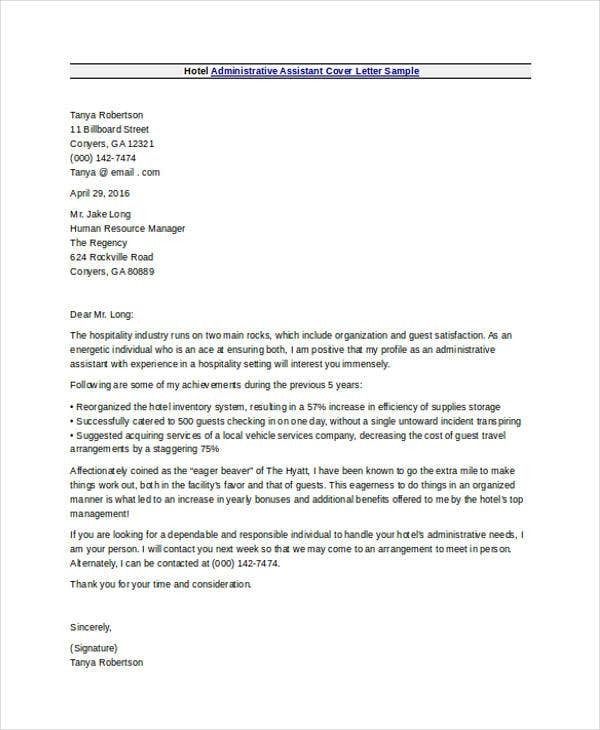 We can provide you with different kinds of administrative assistant cover letter templates that are easy to use and edit in different industries. 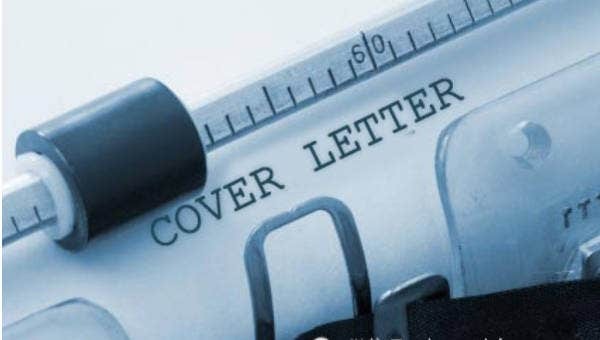 The variety of cover letters that we have in this post offer various job descriptions and functions. 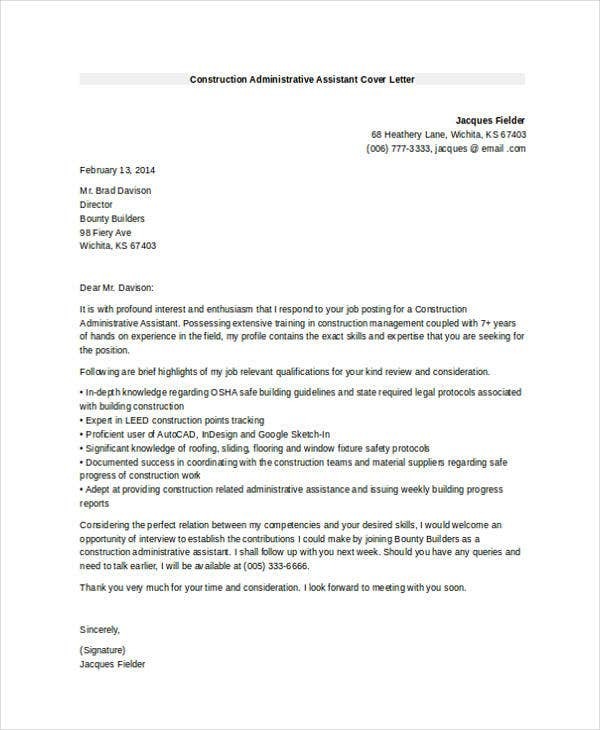 Our cover letter templates in word present a portable document format for easy editing. 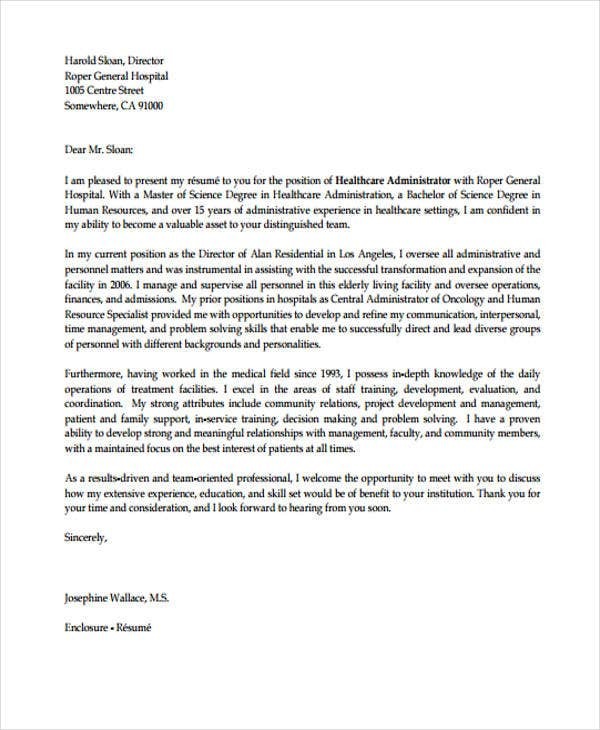 Go through out Cover Letter Format templates and General Cover Letter Templates, for more list of samples.